Medline Industries, Mundelein, IL USA Key contact: Vice President of Manufacturing Company Profile- with 7 manufacturing facilities in North America and over 25 joint venture manufacturing plants worldwide, Medline manufactures many of the 100,000 products it sells and delivers direct to the marketplace. 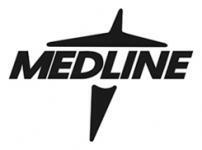 Medline is America's largest privately-held national manufacturer and distributor of health care supplies and services. The Dynacor Division of Medline was molding a line of disposable water pitchers and having problems with product quality. Using a competitor's hot runner controller set at a constant temperature, the parts were coming out of the mold with either blush marks (indicating the temperature was too hot), or short shots (indicating the temperature was too cold). The Vice President of Manufacturing at Medline contacted Gammaflux for a trial run of a Gammaflux hot runner temperature controller. The Gammaflux controller was successful on start-up - short shots and blushes were eliminated because of tighter temperature control. "This control system actually increased production 30%, because it allowed us to speed up our cycle. The controller starts up by delicately applying power to the tool, which prevents overheating and prolongs heater life."